This is a true story. I read it somewhere. The poster who is an iPhone 6 Plus owner lost his handset and pass code. I believe the thief will reflash and resell the device for a profit somewhere. I share it here with my readers because it’s a hard lesson learned, and other iOS handset owners should not let it happen to them. I lost my iPhone 6 Plus on a Tuesday. When I found it’s gone, I called my number like crazy. No one would answer my calls however. So I tried using Find my iPhone and it said the phone was offline. I was not surprised because I always disconnect my device from the Internet when I do not use it. I tried again that night and it said my phone was turned off. I knew immediately that my handset was stolen and it will never come back. I received a SMS the following day from my stolen phone saying that the phone was sent to a repair shop but the SIM card can be returned. Apparently it’s from the thief. I thought it over and agreed. 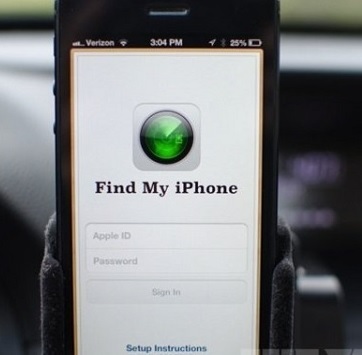 The phone you put in stolen mode is being flashed using iTunes and activated, the location info is recorded. I clicked that link on my phone and it went to http://icloud-ituens.com/login_918830.asp, it looked quite like the official Find my iPhone webpage but the version is a bit old – 2.4. I did not give it a second thought and gave up. [Apple] Dear Apple user, your phone in stolen mode is in an Apple store requesting a new replacement. If it’s not done by you or your phone is lost, please log into https://www.AppIeid.co and verify your information. We will put your phone on hold once you pass the verification. To be honest, I was pleasant for a second that Apple provides such service. I clicked the link and it directed me to the same page I saw a day ago. I highly doubted it and was hesitate to enter my Apple ID and password. So I called Apple’s official support line 400-627-2273 and it said please call back in working hours. A day later from that day I received a package at work and it was my SIM card. It reminds me of the phone thing and I started calling Apple support. Unfortunately it’s always busy, busy, busy. I admit I was a little anxious at the time. [Apple receipt] Dear iPhone user, your phone in stolen mode gets a new replacement successfully. Repair No. 671108. If it’s not you sent the phone, please log in to https://www.AppIeid.co. We will hold the replacement when you verify your information. I was in huge pressure then and preferred to believe it although I still had doubts. How I wish I have thought it through. I clicked that link again and entered my password, but it said the password was incorrect. How could I be wrong? I type my code every day! I realized suddenly that it’s a trap. I dialed Apple’s support number at once and waited a minute till someone answers. A woman told me that Apple has no such service and it’s a Phishing site. I refused to believe that and tried Find my iPhone. Nothing! The once offline iPhone 6 Plus is nowhere to find. It’s gone! Now anyone could use my handset!! !